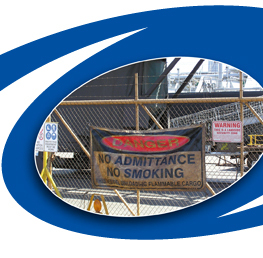 Cervan Marine is committed to achieving the highest possible health, safety and equity standards. Our policies cover Occupational Health and Safety, Alcohol and Drug, Rehabilitation, Equal Opportunity and Environment. Cervan Marine is committed to achieving the highest possible performance standard in Occupational Health & Safety throughout all aspects of work conducted. To provide a safe and healthy working environment for all personnel and to develop safe working procedures to control hazards in the workplace. Conduct all operations to the highest achievable standards of health & safety with a zero accident rate as a target. Conduct regular safety checks of all operations to ensure all employees and contractors recognize and apply safety systems correctly. Ensure compliance and understanding of all applicable standards, laws and regulations. Conduct regular training courses and safety meetings with employees and contractors to ensure each person is properly informed of the company goals and understands their obligation to comply with these goals. To consult regularly with employees and contractors to review and improve health and safety performance and communicate these issues to all personnel. Regularly review this policy taking into account changes in environmental, legislative and industry practices to ensure continual improvement. Every person is responsible for safety. Cervan Marine is committed to ensuring all employees; contractors and subcontractors take responsibility for the health and safety of themselves and others. Cervan Marine will ensure adequate resources, information and training is made available with relation to the use of drugs and alcohol. Every employee has a responsibility to ensure they present for work unimpaired by alcohol and drugs so as not to endanger themselves or others. This is to remain the case for the entire workday or shift and any additional work outside normal hours e.g. standby, casual or contract. Any employee who is on a course of prescribed drugs is to notify their immediate supervisor if work performance may be affected. This information is to be kept in confidence and no discrimination will be made against any employee divulging this information. Any employee who is assessed to be under the influence of drugs or alcohol by observation or demonstrable poor work performance is to be reported to the immediate supervisor. At which time the employee is to be removed from the workplace to alternative work areas until assessed safe to return or alternatively removed for the day or shift as appropriate. Any such incident is to be documented and the employee informed of the breach of policy in the presence of a safety representative. The control of alcohol and drugs in the workplace forms part of the company Health & Safety Policy and as such any breach will lead to disciplinary action, which may include dismissal. Managers and supervisors will be trained in their roles and responsibilities of implementing this policy, offering assistance and information to any employee identified as having a problem and ensuring the continued safe working environment for all persons. Cervan Marine is committed to preventing injury and disease in the workplace by ensuring the health and safety of all employees. While all reasonable and practical steps are taken it is recognised that some element of risk exists despite all efforts and accidents may occur. Should an employee be injured during the course of their work, Cervan Marine will ensure the appropriate treatment is given to the employee. In conjunction with medical advice and legislative requirements a rehabilitation program will be commenced as soon as practicable. Cervan Marine will provide alternative duties as part of this program. During this program Cervan Marine will respect the rights and confidentiality of all employees and ensure the program is maintained effectively through consultation with the relevant parties. It will be the expectation that the resumption of pre-injury duties will be the outcome of such a program. In the event this is not achievable then retraining or redeployment may need to be considered. Cervan Marine is committed to providing a workplace free of harassment and discrimination. To establish and apply procedures that will identify and eliminate any form of harassment or discrimination in the workplace. To develop a climate of trust where all personnel are treated with respect, courtesy and fairness. To recognise and address any behaviour that has the potential of interfering with work performance or creating an intimidating, hostile or offensive work environment. To support and investigate any claim made by personnel to ensure a satisfactory outcome. To have all personal understand their responsibility to identify and eliminate any discriminatory behaviour. Managers and supervisors will be trained in their roles and responsibilities of implementing this policy, offering assistance and taking the appropriate measures to ensure that no person is unduly disadvantaged. Cervan Marine is committed to ensure all projects are conducted in a manner that will promote environment preservation. Cervan Marine will comply with relevant environmental legislation and regulations as a minimum standard in all areas of operation. We are committed to the development and implementation of procedures to evaluate the impact of any project prior to commencement, by research and consultation with interested parties. Our aim is to ensure every employee and contractor is aware of his or her responsibility to comply with environment protection and that they are educated in applying such principals. To reduce waste and pollution wherever possible by means of re-cycling and the reduction of the use of products known to be detrimental to the environment. Cervan Marine is actively involved in attending and promoting community awareness programmes directly relating to the protection of our environment. Continually review our performance to improve our systems taking into account changes in legislation, industry practices and changing community standards.